A little green from Japan on this St. Patrick’s Day. I was a couple weeks too early in August to see the Sento Kuyo (千灯供養) ceremony (which happens annually on August 23 and 24) at Adashino. On those evenings the temple is covered in candles and lanterns. Don’t miss it if you happen to be in Kyoto then. Are you beginning to get the idea as to how someone who isn’t even all that interested in the beauty of a cemetery might just find the one at 化野念仏寺 to be quite beautiful and peaceful? If you ever get bored of this vantage point (but how could you?) 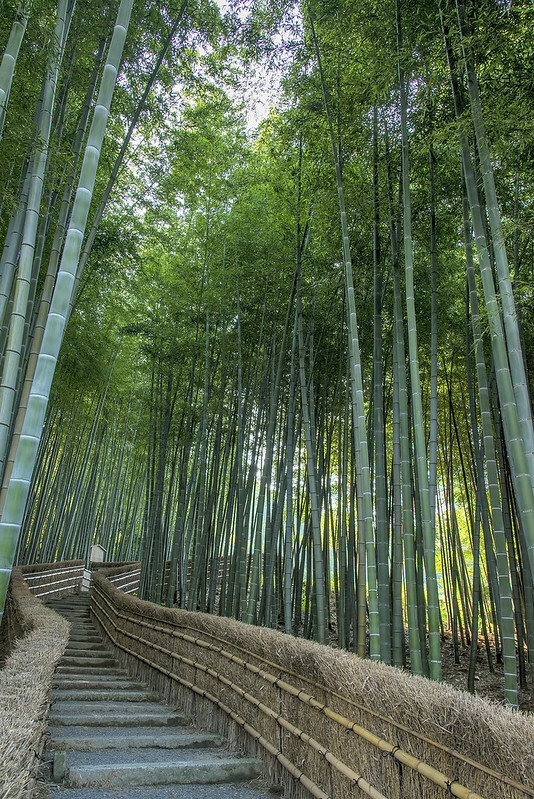 just turn around to behold a bamboo forest.